Roaming Educator | a space for reflection and collaboration. As I continue to develop a more robust framework for inquiry learning in my classroom, I have developed a very basic inquiry cycle to guide my instruction. Before I start my latest reflection on Reintroducing Inquiry Learning Into The Elementary Classroom, I wanted to give a quick shout out to Terri Eichholz and her recent blog post for turning me onto Barry Schwartz and his TED Talk, The Paradox of Choice, which describes the debilitating effect that too much choice can have on our decision making process. I directly related the negative effects of choice that Schwartz discusses to the difficulty and time it took students to decide the focus of their inquiry. I wrongly assumed they would just figure it out in due course – that deciding wouldn’t be a big deal. I was wrong! Schwartz says too much choice makes it difficult for people to make a decision and paralysis is a consequence of having too many choices. He also argues that even when we make a decision by overcoming the challenges associated with too much choice, we end up less satisfied with our final choice than we would have if we had fewer options to choose from. The more options there are, the easier it is to regret your final decision because it is natural to start to compare the final choice with the original list of choices. This results in a decrease of satisfaction with the product, even if the decision was a good choice. In practice, creating a huge list of inquiry topics with the class may be counterproductive. 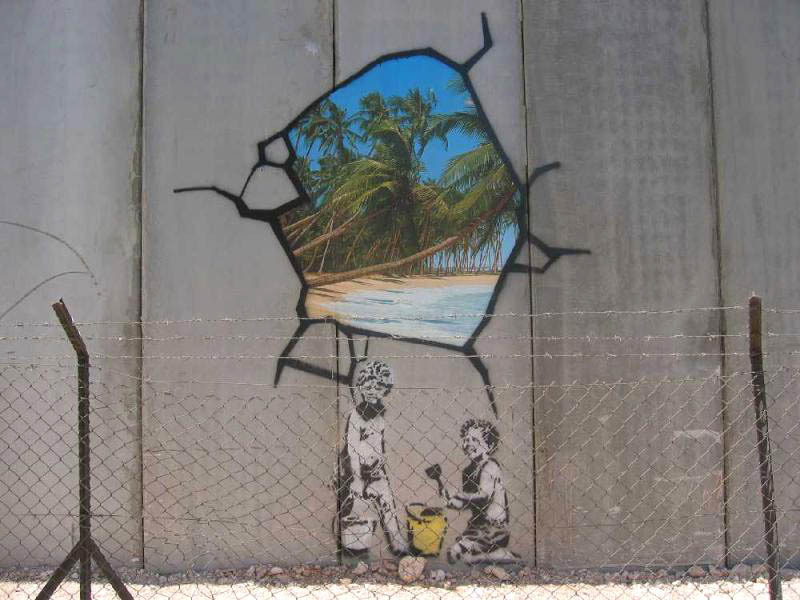 ‘Opportunity costs’ – whenever one chooses to do one thing it is inevitably at the direct cost of another. In inquiry learning, the dilemma of choosing to learn about different animal skeletons means it is not possible to learn about gardening. This causes internal conflict, which can be extremely debilitating for some children. ‘Escalation of expectation’ – adding excessive choice to people’s lives increases their expectations about how good those choices are. This produces less satisfaction with final decision, even when it is a good decision. In inquiry learning, student’s expectations surrounding a topic may become over inflated, which leads to an eventual decrease in overall satisfaction. How do you help students navigate the decisioning making process around their inquiry projects? I am a great proponent of attending Twitter chats to stretch my thinking and engage in professional development. There are times when I find myself highly engaged in some chats while other times I simply lurk and listen to the engaging conversations. Whichever mood I’m in, I always leave with valuable resources and nuggets of information that challenge my thinking. On my journey to reintroduce inquiry learning into my classroom, I found two Twitter chats that may prove useful – #inquirychat and #geniushour. 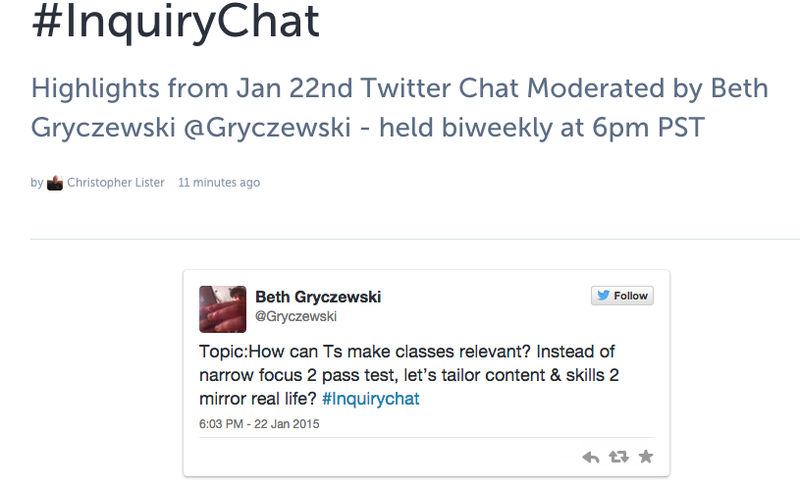 I attended my first #inquirychat on Thursday evening and left with mixed opinions. I’m used to fast-paced chats such as #bcedchat and #edchat, and I found Thursday’s experience very different from my normal encounters – slow, sometimes awkward, but in some respects more meaningful. I’m the type of person who needs time to process ideas that challenge my thinking, and need time to craft thoughtful responses to questions. Thursday’s chat offered time for me to reflect on the questions before sharing my thoughts. One disadvantage of the chat was that there were only six people contributing to the conversations and most of them were looking at inquiry through the lens of the middle and high-school experience. Another disadvantage was the cultural differences between members of the chat. Most of the participants were from the U.S. and much of the chat centered on the difficulties of adopting inquiry learning methods in an environment that places so much emphasis on standardized testing. 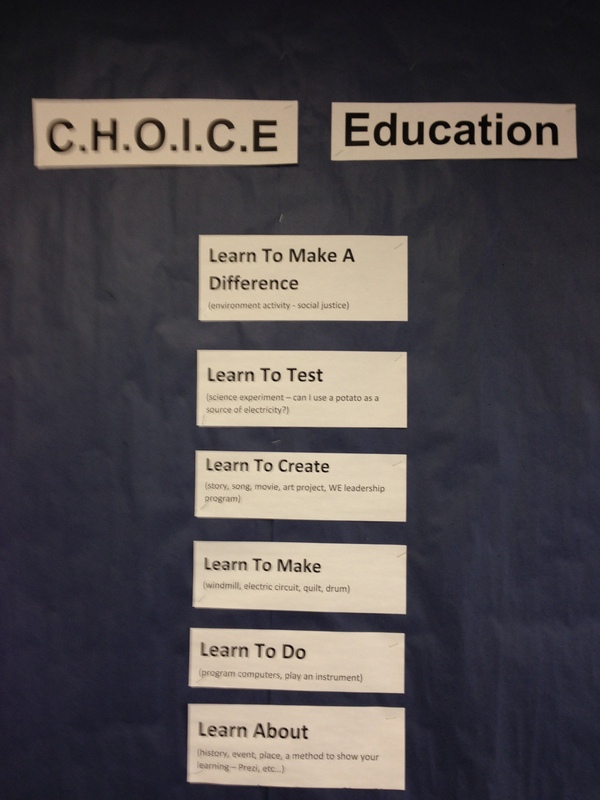 In January of last year I introduced an inquiry block named C.H.O.I.C.E (Children Have Ownership In Choice Education) into my weekly schedule. I told my students that for an hour and a half every Thursday I was setting aside time for them to follow their passions. Initially there was much excitement on my part and on the part of my students. Some students wanted to learn about art while others wanted to learn how to use Windows Movie Maker to produce videos. The first mistake I made was spending more time figuring out a cute acronym for the block of time I was setting aside rather than preparing my students for new way for doing school. Upon reflection I got my priorities all wrong. 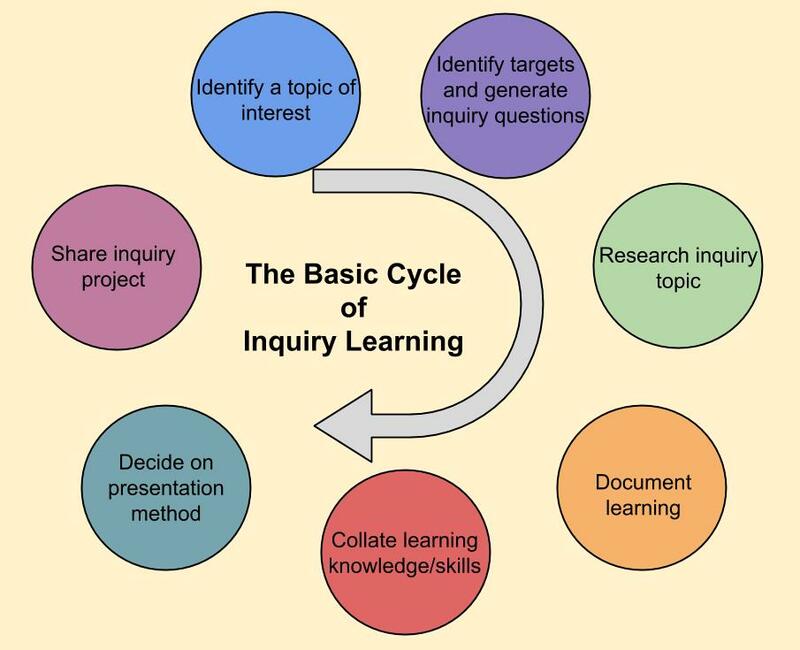 As part of my #learningproject in EDCI 569 with Alec Couros, I intend to ‘right the ship’ and reintroduce inquiry-learning into my classroom in more intentional way. I plan to share my learning on my blog under the category ‘CHOICE’ and the tag ‘#LearningProject’. My blog posts will also auto populate to Twitter using the hashtags #LearningProject and #TIEGrad. In addition, I have discovered that with any learning project it is important to connection with a like-minded community for support and inspiration. With this in mind I plan to attend two Twitter chat each month. Sadly, they are both on Thursdays at 6pm PST which means I can only attend for the first half hour because of class but something is better than nothing. #GeniusHour is held on the first Thursday of every month and #InquiryChat is bi-weekly on Thursdays at 6pm. Educational theorists from around the globe agree that the model of school has not changed much in centuries. I believe that is about to change. 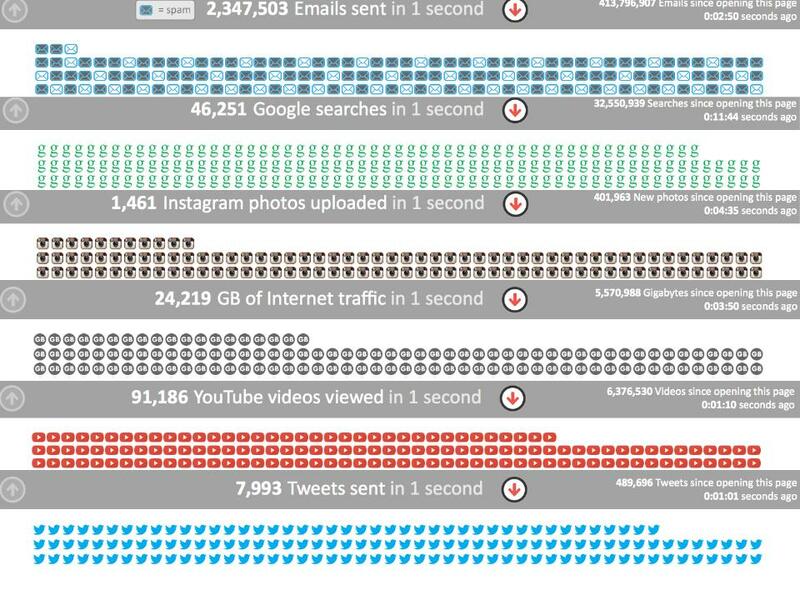 The evolution of digital technology use in schools is increasing all the time. Educators are using digital tools to augment the limitations of our brains, provide meaningful and authentic learning opportunities, and create artefacts of learning that can be shared and improved on by others. Of course, this kind of process takes time. Whenever a new practice is developed there are always those folk who realize its potential early and jump on board. For others, it takes a little more time to change. Innovators and Early Adopters are pushing the boundaries with digital technologies in schools while the Early Majority are now moving through the framework of SAMR model of technology integration in their classrooms. I am sure, upon reflection, the history of school will be divided into the time before and after the digital revolution. “The adoption of an innovation follows an S curve when plotted over a length of time. The categories of adopters are innovators, early adopters, early majority, late majority, and laggards.” (“Diffusion of Innovations,” n.d.) The adoption of digital technologies, aligned with sound pedagogical models of technology integration, which are used to make school more meaningful and personally relevant to learners are still in the ‘early adopter’ phase. Several factors stand in the way of the diffusion of digital technologies in our public schools and include; inadequate funding, privacy issues related to FIPPA, general resistance to change, infrastructure issues, hype, and misuse. According to Thompson (2014) classroom technology has a long history of hype that has rarely delivered. From radio to television, these innovations have been positioned as saviours to the education system but have failed to live up to their claims. I believe that schools need robust instructional frameworks to manage new technologies and avoid spending a whole pile of money on using digital technologies for the sake of digital technologies by replicating offline activities, online. 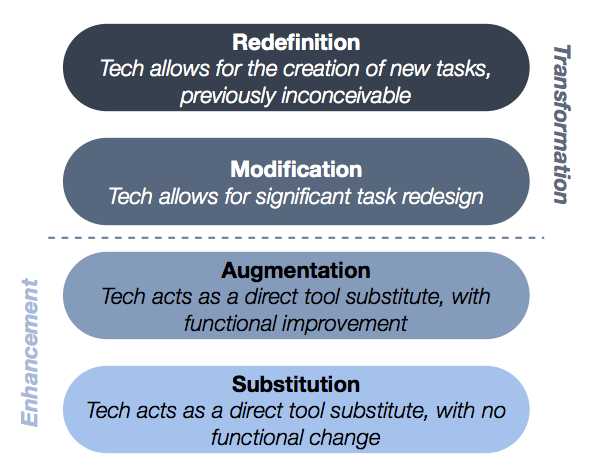 When embracing digital technologies in the classroom the SAMR model of technology integration is both simple and robust. 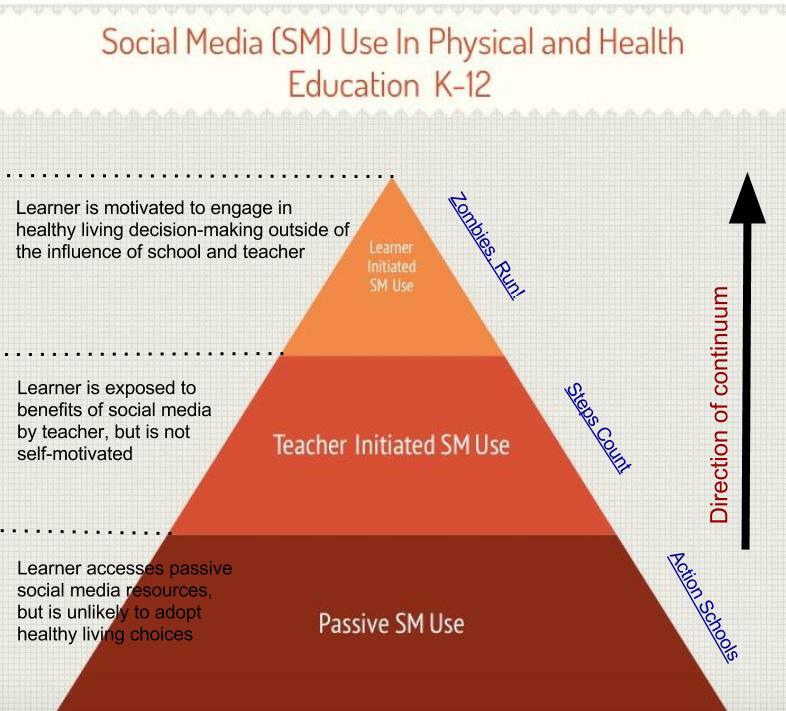 The model encourages educators to move the practice of using digital technologies from the acts substituting offline activities to online activities to creative new ways of creating, evaluating and sharing content. As educators move from positions of substituting offline for online activities to creating content, developing and sharing knowledge, they improve their instructional practice. Embracing a model of technology integration like SAMR will increase the legitimacy of digital tools by the majority of educators, parents, and educational leaders. At this point, comparisons with prophesied educational technology revolutions of the past, such as radio and television can end. Resulting in a move towards creating a new vision of school where all stakeholders have a voice at the table. Smarter Than You Think, a book by Clive Thompson, tackles this idea that change needs to be adopted in our education system. His chapter titled Digital School helped me to question the purpose of using digital technologies in my classroom, and prompted me to critically-evaluate the tools I use. Deciding whether or not to embrace digital technologies in schools is no longer the question we should be asking. Instead, we should be asking how we can use digital technologies to create artefacts of learning, which are both authentic and meaningful? This chapter discusses three principles for effective collaborative multimedia learning, and they determine when and under what conditions collaboration will positively affect learning in a multimedia environment. The learning task is cognitively demanding enough to require collaboration and thus the effective use of a collective working memory. Collaboration should be considered when the distribution advantage is greater than the transactional activity costs. The distribution advantage is a benefit of collaboration because the cognitive load generated when collaborating can be spread amongst members of the group. This allows members to free up cognitive energy to focus on the learning activities. Transactional activity costs are the costs associated with individual groups members have to expend cognitive energy while collaborating in activities such thinking, communicating and internalizing others thoughts. Accordingly to the authors, a learning task is recommended for collaboration when the benefits of the distribution advantage outweigh the transactional activity costs. Collaborating is most beneficial when learners engage in high-complexity tasks and problem-solving activities. I need to be mindful when asking my learners to collaborate on tasks. The task needs to be cognitively demanding enough to warrant a collaboration. It is possible to collaborate too much, and to do it without much thought. Collaboration between students is best suited to situations that involve higher level thinking skills such as synthesizing and problem-solving, rather than collaborating for collaborating sake. Multimedia Should Stimulate Effective and Efficient Distribution of Thoughts and Cognitive Processes While Members Carry Out Tasks. This is a reminder that, if a cooperative learning task is to be successful, each member of the group must realize that they have an important role to play in the dynamics of the group. Assigning individual roles to each group member, in order the scaffold the process, may help. Multimedia Should Facilitate Effective and Efficient Communication and Regulations of Actions. Effective communication between group members is necessary because collaboration is a complex activity. In this sub-principle, the authors discuss the importance of relationships in collaborative groups. A complementary relationship is described as one where people have significantly different functions or characteristics and can compensate for each other’s limitations. Whereas a supplementary relationship is defined as a relationship where people have many things in common. Researchers have found that students working in cooperative groups share knowledge and information they have in common, and negate to share their unique knowledge. Consequently, it is important that members understand the unique skills each member of the group brings to the partnership. How effectively members do this is a reflection of how useful the group will be at meeting their goals. Profile and document sharing is a good way for all members to share their expertise and skill sets. Collaboration in multimedia learning will be effective and efficient if the multimedia environment provides group members with tools to engage in meaningful interaction and thus to effectively and efficiently share their cognitive resources. I particularly like the use of scripts at the intermediate level to aid in the collaboration process. I use this practice a lot with my whole-group literacy instruction, but now realize I can incorporate into many other areas of instruction. Lastly, and perhaps most importantly, I plan to think more carefully about when and whom I ask students to collaborate. It is often detrimental to throw students together and ask them to collaborate on a task when they may not have had the opportunity to develop relationships, and understand each other’s strengths and weaknesses.